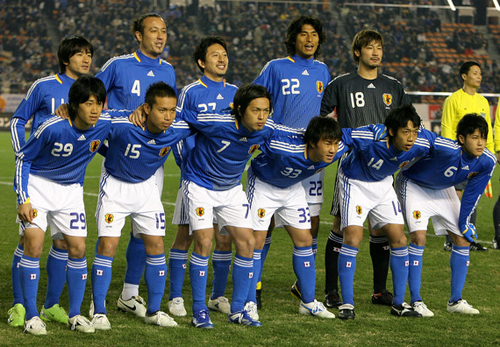 Since the Japanese soccer team has been, so far, doing an OK job in South Africa, here is an entry to cheer them on. And a little something for Shinto otaku, as well. Of course. I am sure some of you must have already heard about the symbol on the Japanese team’s uniform. 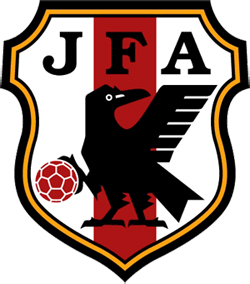 It’s a crow with three legs called Yata Garasu (八咫烏) and it’s an official symbol of the JFA (Japan Football Association). This tri-pedal crow, as almost everything else in Japan, of course, appears in the collections of Japanese myths: Kojiki and Nihon Shoki, where it is believed to be a messenger of kami (gods). 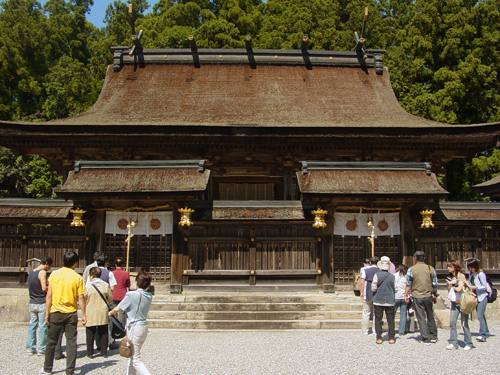 Also, at three shrines located within this UNESCO World Heritage Site: Kumano Hongu Taisha (熊野本宮大社), Kumano Hayatama Taisha (熊野速玉大社) and Kumano Nachi Taisha (熊野那智大社) in the Kumano district in Wakayama prefecture, this crow is worshipped as an embodiment of the sun. And I will come back to this Kumano thingy later. 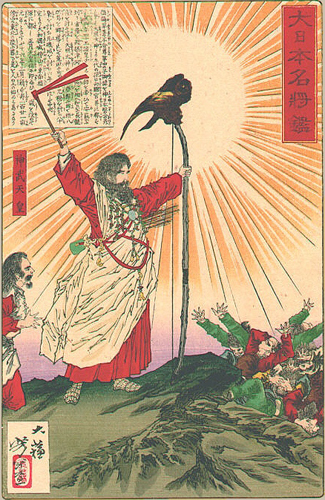 In Japanese myths, this black crow was sent from Takami musubi (or Takagi no Kami) living in Taka Amahara (高天原) to the 1st Emperor Jimmu (神武天皇) as a guide when he and his troops were heading from Kumano (southern Wakayama and southern part of Mie prefectures) to Yamato province (currently it corresponds to the present day Nara prefecture). His mission was called Jimmu Tousei [(神武東征) = Emperor Jimmu’s mission to conquer the East]. And thanks to this tri-pedal black crow's guidance, Emperor Jimmu’s conquest was triumphant. Emperor Jimmu, or so they say. Image: Wikipedia. Why is it a symbol of JFA? The original idea of integrating a tri-pedal crow into JFA came from Tairei UCHINO (内野台嶺 1884-1953), a classical Chinese (ancient kanji) scholar, who was a professor at what is currently Tsukuba University (it had a different name back then) and a buddhist monk of the Soto school (曹洞宗) of Buddhism. He was one of the great contributors and founders of today’s Japanese soccer. Another contributor of turning soccer into a popular sport in Japan was Kakunosuke NAKAMURA (中村 覚之助), who himself was a soccer player, coach and translator. Mr. NAKAMURA’s translation of a British football manual was the first book to introduce modern soccer in Japan. In honor of Mr. NAKAMURA’s efforts, JFA decided to adopt Yata Garasu as its symbol, BECAUSE Mr. NAKAMURA was from Katsuura, Nachi district (那智勝浦町), where Kumano Nachi Taisha (熊野那智大社) is located! Does it make sense now? Why is Japan successful in South Africa? The team has been wearing the three-legged black crow for a while now, but their mission has been largely unsuccessful up until this year. How come? Here is my interpretation, or as I call it – the “flu theory”. As everybody knows we had the pandemic of avian flu during the last world cup and the poor three-legged crow was sick. But lately, there has been a SWINE flu pandemic. The crow is resistant to this strain and the Japanese team driven by Honda can do much better!!! PS. And as soon as I post this entry, those suckers will get eliminated. Murphy’s law. No crow can beat that. Ehhhh... just call me baka. Very cool. I did was not aware of the three legged crow JFA symbol or it's background. Interesting.